You’ve probably heard of interchangeable circular knitting needles. At the very least, if you’ve ever visited a yarn shop, you’ve probably seen a set or two. Interchangeable needles consist of tips that actually screw into cables. You can get multiple sizes of needles and multiple lengths of cables. If you purchase a complete set, you have a wide range of sizes right at your fingertips. Although a set of interchangeable circular knitting needles can involve a bit of cash in the beginning, over time the investment can really pay off. You won’t have to purchase additional needles; most sets come with multiple lengths of cables, so you can select the cable length that suits your needs. One of the best features of interchangeable circular knitting needles are end caps. End caps come in really handy if you have a work in progress on, say, size 6 needles, and then you want to cast on another project using size 6 needles. If you have regular needles, your only options are to finish that work in progress or buy another set of size 6 needles. With interchangeable circular knitting needles? Just unscrew the tips from the cable and pop on some end caps. The cable holds the live stitches, and the end caps keep the first and last stitches from sliding off the cable. Then you can screw the tips onto an unused cable, and you’re back in business! 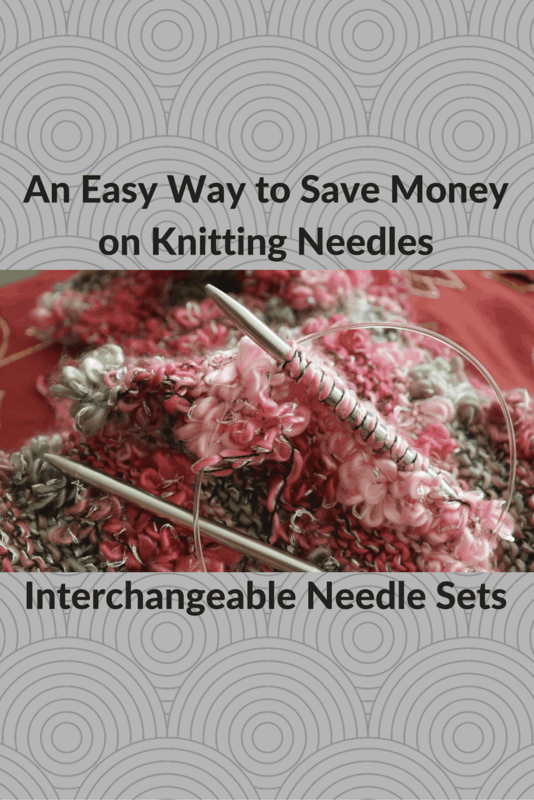 So you can see that interchangeable needles can be an incredibly useful and frugal option for the dedicated knitter. And there has never been a better time to be in the market for interchangeable needles! Once upon a time, 4 brands of interchangeable needles dominated: Denise, Boye, Knit Picks, and Addi Clicks. But today, it seems that nearly every manufacturer of knitting needles on the planet sells its own set. You’ll find options from ChiaoGoo (my favorite circular needle brand) as well as HiyaHiya. Even Clover Takumi, one of the world’s most popular brand of bamboo circular needles, now offers interchangeables! With so many brands available on the market, you’re bound to find one that suits your own needs. So why not take a look at the many brands of interchangeable circular knitting needles available and pick just the right set for yourself?